Maybe nothing. After all, they get separated. Maybe everything. After all, they get reunited. But what if they can’t quite nail a first date . . . or a second first date . . . or a third? What if Arthur tries too hard to make it work . . . and Ben doesn’t try hard enough? What if life really isn’t like a Broadway play? But what if it is? 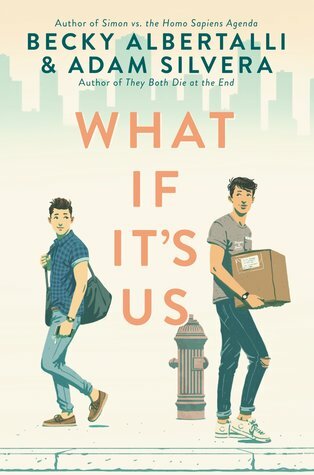 I have yet to read a book by either of these authors that I didn’t love, so when I heard that they had teamed up to write what was sure to be a heartbreaking novel full of characters with depth and emotion? Instant pre-order!